So much proud to announce that JUX Instagram Feed has released with lots of attractions inside. 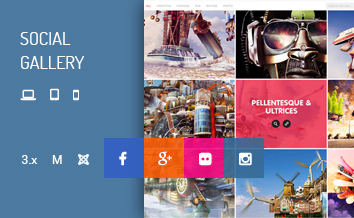 This module dedicates users a beautiful display of Instagram images on the website. You can do whatever you want in presenting your Instagram feed by using this flexible and easy-to-use Joomla module. JUX Instagram feeds exactly meets all the need that users want to do with the Instagram feed such as nicely presenting, uploading photos, and creating an eye-catching image set with flexible control in sizes and UI. Visit 9 keynote features that make JUX Instagram Feed be different among tons of Instagram feed extensions. Jux Instagram offers distinctive slider styles including Auto Play, animation Effect, Fix Height and Width, or Large Grid and small Images which allow users freely choose the expected style to display their Instagram feed. Following the popularity in showing Instagram feed, we would like to create best and serve as much as options as possible. 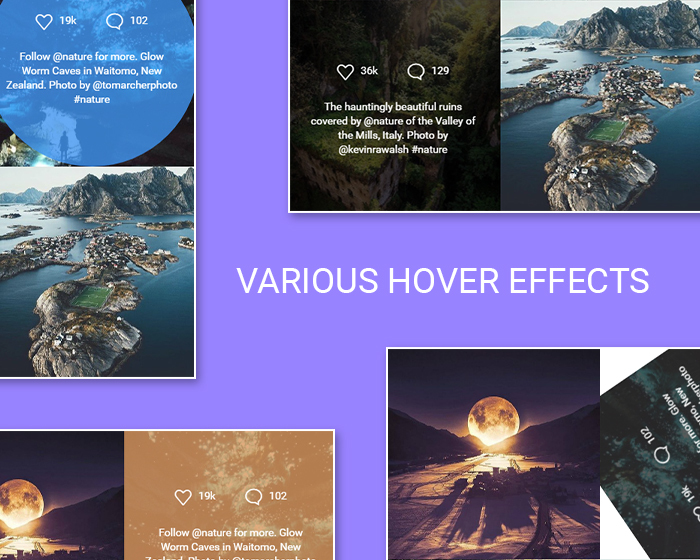 You will find the exact style of hover effect you love with 5 hover effect style, our team develop. All Products from JoomlaUX team is 100% responsive and there is no exception with Jux Instagram Feed. No matter how large or small your screen is, images and content will automatically adjust to fit it and be perfectly shown. Jux Instagram Feed supports you display your Instagram images from unlimited combinations of sources such as from popular username and trending hashtags. By using Instagram Feed, you can avoid of bad quality images thanks to using two special filter type: FilterExcerpt and FilterOnly which will exclude photos of the specific hashtag (filterExerpts) and shows a specific photo from any account and hashtag (filterOnly). 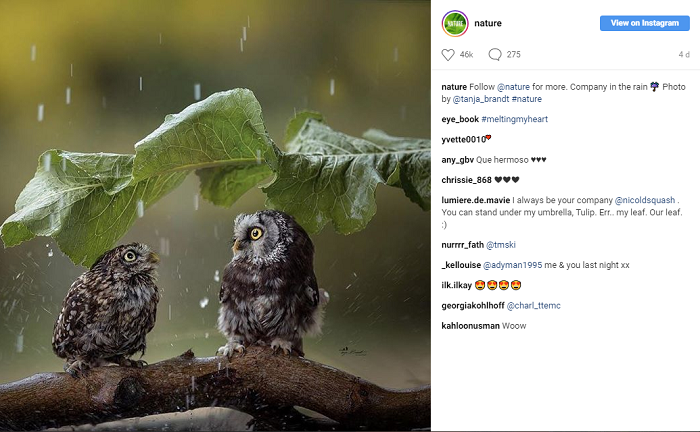 Not just showing the Instagram Images beautifully, the module also supports viewers with more information including Likes Counter, Comment Counter, and the description as well. Getting full control of sizes is another key feature of this extension, you can select "responsive" or "by content" and the module will auto customize the size for a perfect fit. Also, you can manually customize the columns, rows, and padding for the images display. Why should you use the Jux Instagram? Great UI is the main reason for that, you can easily customize the Instagram grid until you get an eye-catching image set. 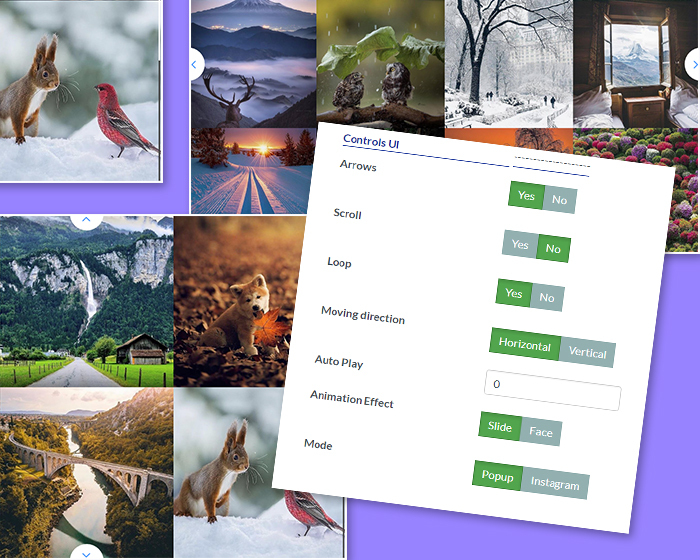 Free customization with a series of options as Arrows, Scroll, Loop, Moving direction, autoPlay, Animation Effect, and mode. Certainly, you want to show more information about the Instagram images when popping up the images. This module allows you lots of popup data options. You can get information about Username, Instagram link, Likes Counter, Comment Counter, Location, Passed Time, Description and Comments. Furthermore, you can easily turn on/ off any options that you want/don't want to show on the popup images. 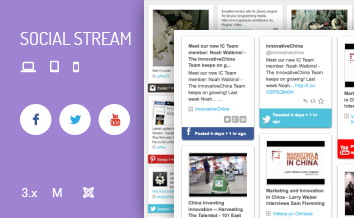 Setting up an eye-catching Instagram feed grid on the websites is the main target that the Jux developers aim to. We hope you will get the great experience on JUX Instagram Feed and 100% enjoy a beautiful Instagram Images showing.